Imagine for a moment you had an accident and were rushed to a hospital where the physicians and nurses who treated you had their jobs because of seniority. Or if salary increases, as well as promotions, in universities were based on seniority. Or if the starting quarterback for your favorite football team got the role because of his seniority. There were, to be sure, jobs where individual performance was not important, or perhaps more accurately, all that was necessary was performance above a minimal level, but those jobs have largely disappeared. In virtually every aspect of our lives, performance is an issue. We want our children to be taught by great teachers, we watch TV shows where someone wins a competition, we consider reputation when we hire handymen, we admire successful people — I could go on. We also accept the evaluation of our own knowledge and abilities throughout our years in school and our careers. It’s the basis for success in virtually every occupation. The only sector where that’s not the case is government. There are no surveys showing how prevalent seniority policies are today, but at one time seniority (or years of experience) played a role in close to every decision or action affecting employees in public organizations. Regardless of how seniority is defined, whenever years of experience are the primary criterion in decisions governing salary increases, promotions, layoffs and other personnel actions, it’s a reminder that performance is not important. In the years since the recession, many public agencies have laid off employees—based on seniority—while also experiencing recruiting and retention problems. So they not only lose the young talent they already invested the time to select and train, but also their well-publicized layoffs damaged the brand of government as an employer for other job-seekers. It would be interesting to learn how many parents want their children to work in government. The seniority policy is not the only factor affecting recruiting, but the situation would be very different if personnel actions were based on performance. A recent exception is a provision in the 2016 Defense authorization bill that makes performance the primary factor in Defense Department layoffs. That highlights another issue — the need for defendable performance ratings to support layoff decisions. The staffing problems are exacerbated by policies and benefits which encourage older workers to retire. Again, age and years of service are focal issues. Employees approaching the date when they can retire seem at times to be obsessed with tracking the days, weeks and months until they can quit. Well in advance, their job focus begins to decline. No other sector pays as much attention to retirement or makes it attractive for talent to retire early. A partial solution to the staffing problems would be developing policies to help retain at least the better qualified, high performing older workers. Our culture values youth and vigor far more than the knowledge “of how to get things done.” But many individuals continue to function at high levels well into their 70s and 80s. It would be decidedly advantageous to retain the high performing older workers but that will require new thinking. There are a number of policy alternatives agencies could consider to retain valued contributors. For a discussion of the possibilities, click here. Employee performance management policies and practices fail to contribute to improved results. Traditional “personnel administration” and civil service systems were adopted in a very different era and far too many have not evolved to reflect current thinking. Strategies to raise performance levels have been discussed in numerous books. 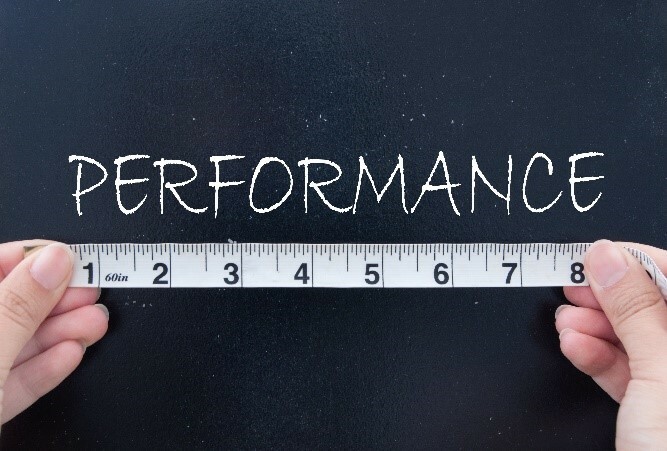 When employees are treated fairly, and have the feedback needed to grow and improve along with the recognition of their accomplishments, it’s well documented that they can be expected to commit to solid performance. Performance management practices are undergoing radical change. The role of managers is central to the changes; the new role focuses on providing feedback and coaching, not control. An issue that is taken for granted in high performing companies is the mutual trust which facilitates empowerment. Employees need to understand they are expected to address job-related problems. Nothing in the emerging performance management model is precluded from government but it will require top management’s commitment and two or three years to fine tune new practices. A key point is that this is a front-line management problem, not an HR problem. HR has virtually no involvement in the day-to-day management of performance. That highlights the need to redefine the criteria for selecting new supervisors. The new model depends on ‘people management’ skills, not technical skills and definitely not seniority. Training to develop needed skills will be essential. Ineffective supervisors should be encouraged to move back to the jobs they found more satisfying. The new role is similar to that of teachers and for those with requisite skills it should result in more collegial working relationships. If government was still “administering things”, this would be far less important. But at a time when public employers need to find ways to improve performance, policies which ignore individual value are contrary to good government. Basing people-management decisions on individual capabilities rather than seniority would benefit the ‘contributors’ as well as their organization. Good performers want recognition. Experience shows it will increase engagement and performance. It should also make careers in government more attractive to young job seekers.